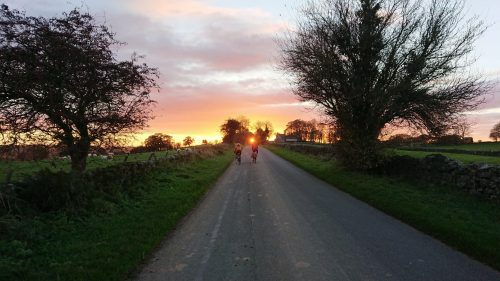 Coast to Coast in one day, 120 miles from Newcastle to Silloth with friends, raising money for Mountain Rescue and other charities, as well as celebrating the winter by painting a nice red line across the country. One rule: We all help each other through! All abilities are welcome and encouraged. Friday Evening – We meet in Kendal/Ambleside or head straight to the overnight accommodation from wherever you are travelling from. 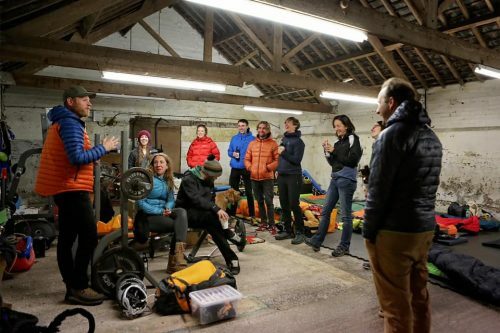 The Barn – Friday night we camp down in a Barn kindly donated by Jo @barnfitness. It’s basic but has everything we need apart from warmth and beds, so you’ll have to bring your own! Expect snoring and farting and feel free to provide your own! (earplugs are recommended). Food – Jacobs share is an ideal solution, however we will offer hot drinks and breakfast. Saturday AM – Rise at 6am, eat, pack up, jump on the bus for the 30 min drive to coast and the official start of the Hadrian’s wall NCN route in Tyneside. We ride… non-stop and chase the sun! Ok we stop a few times – There’s the support bus manned by cheery volunteers that will be strategically positioned along the route to offer hot drinks and snacks, refills of bottles, shelter and a change of clothing. Saturday PM – 120 miles in something like 12 – 15 hours, finishing along what we like to call the Silloth Roubaix. We pop the cork, too tired to drink the fizz and to annoyed at Joe to raise a smile (from 5 years experience :0) but you will be overwhelmed by your achievement. You’ll head in to winter with a warm heart and a bunch of new friends! We do this because we stick together, no matter what, no one is left behind. Those who know they can ride such a distance, then this isn’t the challenge, being in the saddle for such a time is. 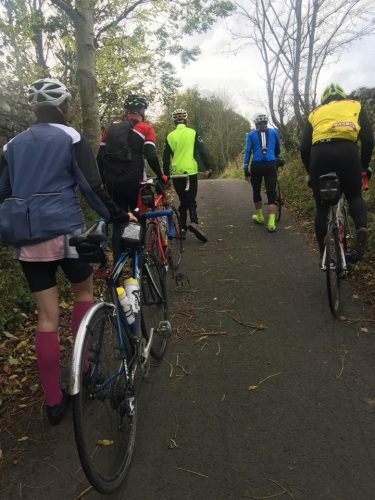 We’ve had folk who have only ridden 25 miles previously… and yet finish! We’ve had those who are less able, physically. Registered disabled and those with broken bits (part of the reason Joe started this madness). Just because you think it’s improbable, doesn’t make it impossible… we want to hear from you! If you don’t believe me, read what our past participants have had to say here. In the past we have raised around £3000 each year for charity. The entry fee is small and covers the costs with the leftovers going to Mountain Rescue. However, it is encouraged that you do your own fundraising, for Mountain Rescue or a charity that’s close to your heart as Mountain Rescue is to Joes.